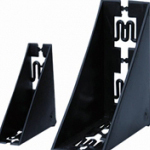 Our range of corner protectors will help to protect your goods during transit. Corners are a particularly vulnerable area and must be protected, especially for goods sent on couriers. We stock a full range of products that offer superb Corner Protection including Open and Closed Plastic Corner Protectors, Foam Corner Protectors and much more. We will beat ANY UK Price! Call 01268 768 768 Now.